The winter courtyard at The Rittenhouse Hotel. 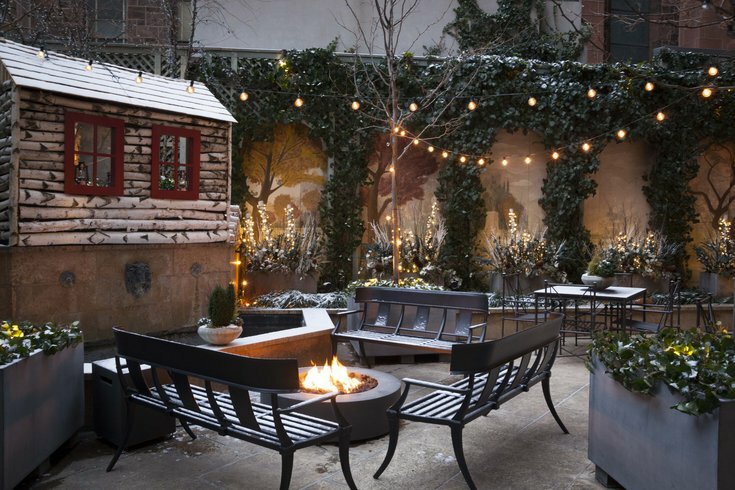 This winter, The Rittenhouse Hotel transformed its outdoor courtyard, making it a cozy place to sip cocktails around fire pits. On Thursday, March 15, the hotel will throw an end of winter bash, where guests can enjoy the space one last time before it changes for spring. From 6 to 8 p.m., partygoers can indulge in the finer things in life. For $55, guests can sip unlimited Champagne from Moët & Chandon and enjoy passed bites from the Lacroix at The Rittenhouse's culinary team, like foie gras s'mores and potato rosti caviar snacks. To attend the posh event, snag a ticket here.